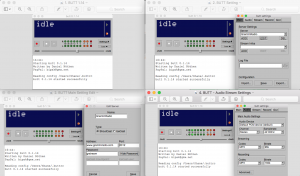 The Name field you can input whatever name you choose, this is sorting option, because you can have multiple servers saved in this broadcasting utility, so name it something that will you will remember that this your server for Gremlin Radio. Make sure you have Shoutcast, and not IceCast selected at the top. Now click the save button, and the window will close. Set your Bitrate to 128k. Set your Samplerate to 44100Hz. Set your Channel to stereo. Set your Codec to mp3. 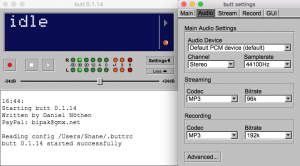 If you have entered the above information correctly you are now set to broadcast using this tool (B.U.T.T.). You should be able to play some music and get visual feedback from the VU meter on the main window of the program. If you are not getting feedback from the VU meter, then either you have not selected the correct soundcard, or you have a setting in your soundcard settings that is hindering it from receiving audio. If you are not getting feedback from the VU meter, I would suggest first selecting a different soundcard to see if you have selected the wrong soundcard, if you are sure you have the correct soundcard selected you will need access your soundcards settings make the correct adjustments there. To start the stream, you simply click on the (play) button. Now hit the Listen button in the menu bar and it will download a PLS. file that you can open via phone or PC. See screenshot below. To stop the broadcast either click on the (stop) button or close the program. You do not need to input any information in the Stream Infos: field on the Main tab for Gremlin Radio because that information is configured by our broadcasting software, don't concern yourself with that section as it has no affect on anything. Because we use the rotating port system, you need to connect to your stream a few minutes before your show (roughly 5-10 minutes), if you do not do this, and you connect either right on time or late, our broadcasting software might not see you connected in time, and it will play archives and/or individual tracks instead of your live show during your allotted time slot. If something ever happens like you arrive late for your show, you get disconnected for too long for some reason, you can still play your slot. The server will continue looking for your show throughout your time slot. Always remember to disconnect and shut down your broadcasting software(s) after your show. If you don't the next person who uses your port number will not be able to broadcast or it plays silence over the airwaves, neither are desirable. 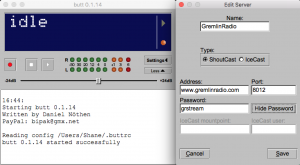 Input the above info including the Stream key which is connected directly to our GremlinRadio Live Youtube page. 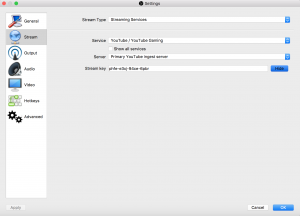 Input your audio setting depending on how you stream. When you show starts you can hit the Start Stream tab on the home page and it will automatically pop up on our “HOME” GremlinRadio.com page at the top. 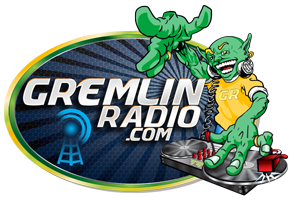 If you previously had the www.GremlinRadio.com page open you will need to refresh. 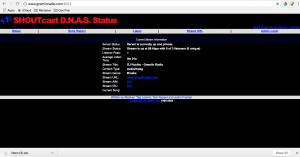 This site is for the Gremlin Radio “Dj’s, administrators and promoters” only. This site is here to provide a private communication between all above parties while they share their port numbers, contact information, questions, technical issues, etc. Don’t Post: Demos, Mixes, Promos, or outside Dj’s stuff. If you have any items in this category please post them on our Gremlin Radio (FAN) Page so our fans have access to you and your stuff. Do not add anyone to this page. We will add and delete as dj’s come and go! This page is dedicated to all of the true fans / true listeners of "Gremlin Radio". This place will be our fans "one stop shop" to receive your daily Gremlin updates. Post need to be Gremlin Radio related. When making initial post in the Gremlin Radio Like Page; post as Gremlin Radio and then you may comment to that post as your Dj Name. The location to switch between names is at the top of the page directly under FACEBOOK and it states this "You are posting, commenting, and liking as Gremlin Radio — Change to __ [Your DJ Name] __"
Gremlin post will also link direct to our twitter if you keep your post under 140 characters. Twitter requires a 140 maximum. Pin Post is a feature on the group page that all dj’s may use. This feature will only be used to “PIN” your post for your show only and during your show time only. After your show is complete please un-pin your post so the next dj can pin post his show information. You do this by hovering your mouse over the top right hand side of the post. Once you see an arrow, click on it one time and the will be a drop down arrow that “PINS and UNPINS” post.